Doctor Trettenero is among the top Fort Myers Dentists that can boast a 98.9% approval rate. Read real life patient reviews and learn from what our patients have to say. We believe the secret to total well-being begins right here with the expertise and advice from our dentist. Have you been searching the web and researching the best Ft Myers dentist? Consider the dental office of Scott Trettenero DDS, conveniently located off Daniels Pkwy, at 13440 Parker Commons Blvd. With a professional and friendly support staff, Doctor Trettenero will listen, evaluate your concerns, goals and budget, and carefully design a plan that incorporates the latest in dental technology. 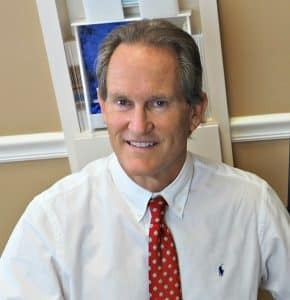 Not all Fort Myers dentists are the same, the dental office of Scott Trettenero, DDS is truly leading the way in the latest in dental technology. Precision dentures, veneers, same visit crowns, Invisalign invisible braces, CEREC technology, and LANAP laser to treat periodontal gum disease. These are examples of the exceptional services and technology you will find at our dental practice. Dr. Scott Trettenero, DDS is one of the first Fort Myers dentists to offer the LANAP laser to treat damaged gums. To read about our non-surgical periodontal gum disease treatment by clicking here. There are hundreds of Fort Myers FL dentists. Where do you begin when choosing the best dentist? First, you need to listen to what others say about their dentists. Read reviews and do your homework. Click here to read over 900 reviews from our patients. Reviews reveal a lot about a medical practice; not just about the doctor but also the staff and their operations. This Ft Myers Dentist is proud of his practice and staff with patients giving them a 98.9% approval rate. Such a high approval rate puts Doctor Trettenero and his staff among the top rated dentists in Fort Myers Florida. Dr. Trettenero believes the secret to total dental health begins with proper dental hygiene. Dr. Trettenero was trained in general dentistry to provide his patients full service Fort Myers dental care. The dental office of Scott Trettenero, DDS also specializes in select cosmetic dental procedures, such as teeth whitening, dentures, Invisalign, veneers and other cosmetic dental services that can be done right here at this Fort Myers clinic. If you are surfing the web looking for one of the best Fort Myers FL Dentists, consider Dr. Trettenero. The goal is to help each of our patients to experience the confidence and success in life that can result from having a beautiful smile. The Dental Office of Scott Trettenero, DDS promise to you our patient is that you will always be treated as if you are the most important person in the world (which indeed you are). We promise to be kind, gentle and caring at all times. We further promise to stay current on the modern miracles of dentistry and to utilize them wherever and whenever they work to your advantage. And lastly, we promise to uphold and defend the highest standards of this profession. Click here to schedule your appointment with the Dental Office of Scott Trettenero, DDS today!